For 24 years, residents of the Kootenays in British Columbia, Canada, have been largely opposed to a proposed year-round ski resort in the heart of the Central Purcell Mountains—a region that encompasses both cherished alpine backcountry and critical core grizzly bear habitat. At the time this story was going to print, the provincial government had just dealt would-be developers a significant blow by deeming the ski resort project not “substantially started”—a finding that would require developers to return to square one to reapply for an environmental assessment certificate in order to continue with their plan. As the developers contemplate their next move, local skiers, snowboarders, climbers, wildlife conservationists and First Nations peoples staunchly hold their line, hopeful that with this ruling, the quarter-century-long battle may be nearing an end. But whether the developers redouble their efforts or their opponents celebrate victory—what a long, strange trip it’s been. The first time Leah Evans stood in southern British Columbia’s (B.C.) majestic Jumbo Valley, she remembers, “All the large trees were shining, reflecting in the lake. There were more glaciers than I have ever seen in one place. It has been etched in my mind ever since.” The Rossland, B.C.-raised skier had been brought to this rare, wild environment in the Purcell Mountains as a preteen outdoorswoman, by parents she refers to as “first-generation adventurers.” Together, her family had traveled via a ‘70s-era motor home to Alaska, the Yukon Territories and Bella Coola, but Evans immediately felt a unique, powerful connection to the Jumbo Valley. As she stood there, her parents revealed a hard truth: The Jumbo Valley was in danger of being marked with a real-estate development and a year-round ski resort. Then they told her something even more shocking. So in seventh grade, in 2000, when Evans’s teacher asked her to write an essay about a controversial topic, this wild valley—threatened with one of B.C.’s most contentious developments—was her immediate choice. “I feel like people don’t know what is back there. It is so huge, and you’re so small. You have to go to understand the magnitude of what could be lost.” She’s been writing the Jumbo essay ever since. At full build-out, the proposed Jumbo Glacier Resort would offer 5,900 vertical feet of year-round skiing on a proposed 20–30 ski lifts over 5,925 hectares of terrain spanning four glaciers. 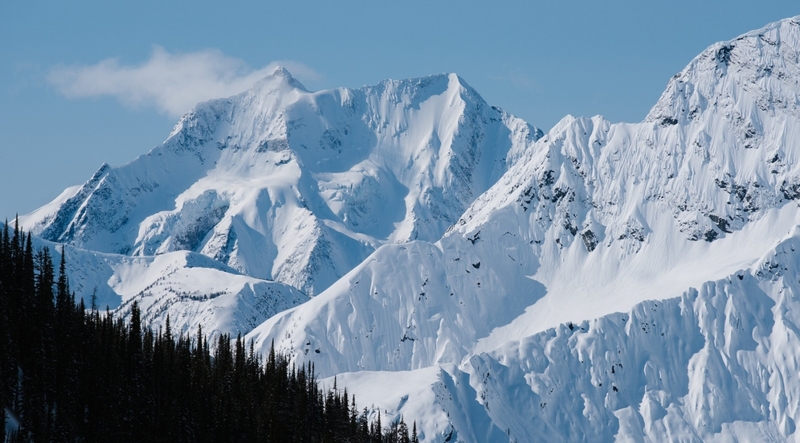 The highest terrain would reach 11,217 feet—B.C.’s highest ski resort. Over the past 24 years, Italian-born, Vancouver-based architect Oberto Oberti has tried to get “Jumbo” (local shorthand for the proposed development) off the drafting table and into reality. Beyond the small, bizarre victory of having an imaginary town of Jumbo legitimized as a Mountain Resort Municipality (Jumbo the town has no residents, no infrastructure and no tax base, but has a mayor and town council), there has been very little movement. Spend time speaking to residents of the Kootenays—B.C.’s famous ski and snowboard mecca—and you start to understand why. Very few residents want this thing. And then there is the collective community: For the past two decades a ubiquitous East Kootenay bumper sticker has proclaimed an almost universal desire to keep “Jumbo Wild.” The overwhelming sentiment seems to be that communities in the Kootenays don’t want this resort, don’t need it and consider themselves stronger without it. The vast majority of skiers and snowboarders around the globe ride lifts and love them, even those who claim the backcountry as their chosen playground. So there’s an inherent tension in the fact that many might drool in anticipation of, and initially support, a new ski-area development like Jumbo Glacier Resort; with a promise of new, vast, lift-serviced terrain, one might understand why. But the ambitious Jumbo Glacier Resort build-out plan includes 5,500 hotel beds and 750 staff beds, while nearby, locally owned ski resorts like Panorama, Kicking Horse and Revelstoke struggle to stay viable in an industry that’s been on a steady decline for over a decade. What’s built is built, and the effects on environment and community of any ski resort are not small nor easily reversible. They’re also especially poignant when resorts operate well under capacity year after year, as many do. Any community or group of communities must closely and fearlessly evaluate the need for another resort. 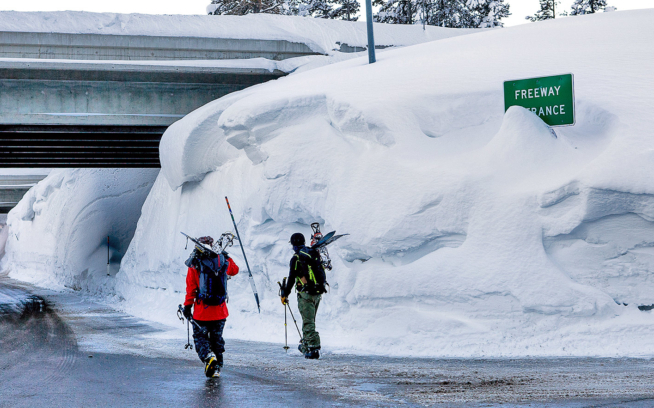 It must ask itself and its government: Do we need another ski area here when so much hangs in the balance? In other words, if bears cannot live and thrive in the Jumbo Valley, they may have trouble regionally in the long run. Despite the creation of a resort municipality of Jumbo and some hastily poured concrete foundations at the proposed resort site, Canadian Environment Minister Mary Polak still determined in late June of 2015 that progress was insufficient. She found that “the physical activities undertaken … did not meet the threshold of a substantially started project” and that Glacier Resorts Ltd. would have to apply for a new environmental certificate to continue. Meanwhile, for locals, certain facts remain obvious: There is no town of Jumbo. No one lives there. 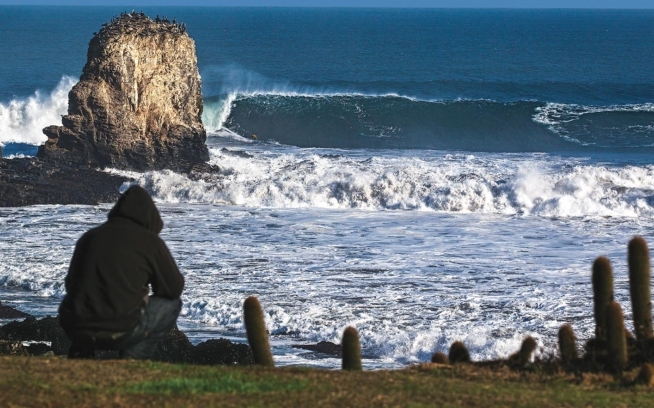 Real towns spring up organically where like-minded people settle. They take time and shared effort to develop into authentic communities, and this corner of British Columbia is filled with great examples: Nelson, Golden, Revelstoke, Argenta, Rossland, Fernie, Invermere. You can see community on the bumper stickers, in the roadblock protests and during town council meetings. You can hear it in passionate, informed voices on Canadian Broadcasting Corporation morning talk shows. You can feel it in the sense of unity that rises around you when you mention the word Jumbo in any public venue. This is what community is—people finding a common voice in support of their needs. In the Kootenays, those needs are often wild, untamed places. A real-estate development and a government designation don’t make a community. People do, and the people who live here have never wanted Jumbo Glacier Resort. Say NO to Jumbo Glacier Resort and YES to permanent protection for the Jumbo Valley. Visit our non-profit partners at Wildsight and sign the petition today. Set against a backdrop of incredible backcountry ski and snowboard footage, the fight to protect Jumbo Valley can be seen in Jumbo Wild a gripping, hour-long documentary film by Sweetgrass Productions. Visit patagonia.com/jumbowild for film tour dates. Mike Berard is the editor of Coast Mountain Culture, associate editor at Kootenay Mountain Culture, a digital content editor at Red Bull, and a passionate Parrothead. 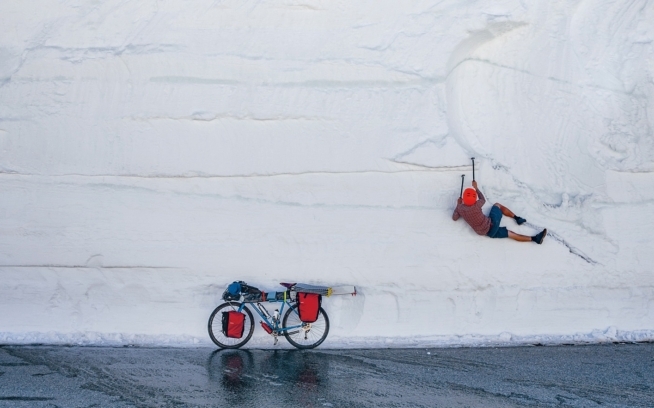 This story first appeared in the Patagonia Snow 2015 catalog.